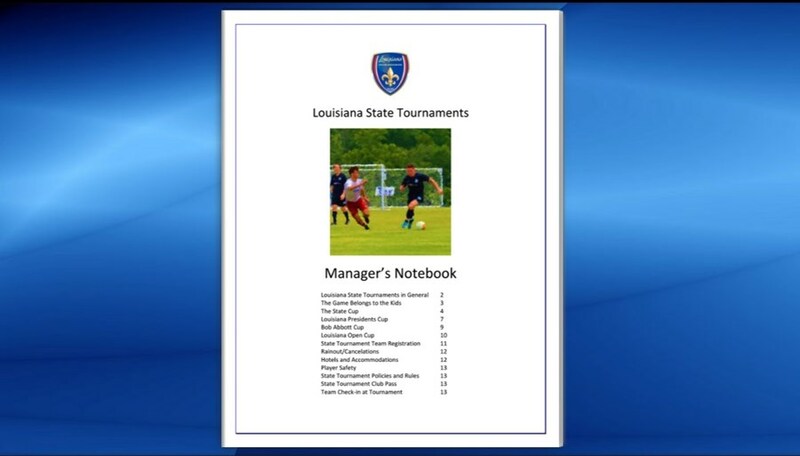 Being the Manager for a team entering any one of the Louisiana State Tournaments involves far more than printing schedules and rosters. LSA Policy 306 sets forth those policies and procedures used to govern play in our state tournaments. Team Managers need to be familiar with these Policies, Rules and Procedures. In an effort to help, LSA has published the State Tournament Manager's Notebook. Click on the Notebook to read.